Stuffy McInnis played first base alongside second baseman Eddie Collins, shortstop Jack Barry and third baseman Frank Baker. Some consider the foursome the best infield ever assembled. And they were paid accordingly. From 1911-14 they were collectively known as the $100,000 infield. The cost of all four players. Today, counting for inflation, that would equal only a little over $2.5 million. Today, a team would be hard pressed to find a single starter for $2.5 million, let alone the entire infield. Today, baseball's finances are a little different than 100 years ago. As for this card: It appears someone added their opinion of Stuffy in red ink "Hitting and Fielding great" they also updated the card to include his current team, as of 1925, to Pittsburgh. To most collectors, writing on a card is like the kiss of death. 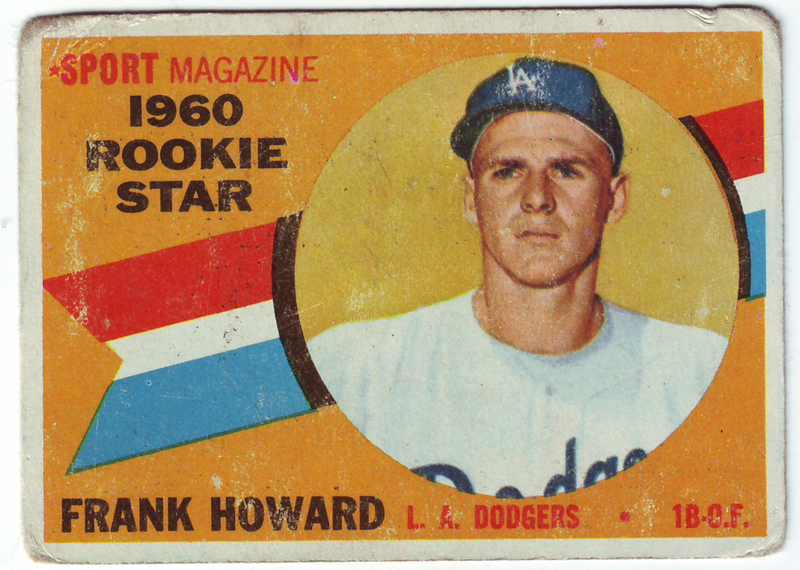 To me it's just another story in the life of a poor old baseball card. Oh how I love a poor old Mickey Mantle. This card arrived earlier this week after my eBay best offer was counteroffered at $27. I was hoping to pick it up for under $25 but how could I quibble over $2. After all, it's a 54-year-old of MICKEY MANTLE. I'm lucky to own more than a few Mantle's in poor condition. This one's right up there with the worst. But did I pay too much? 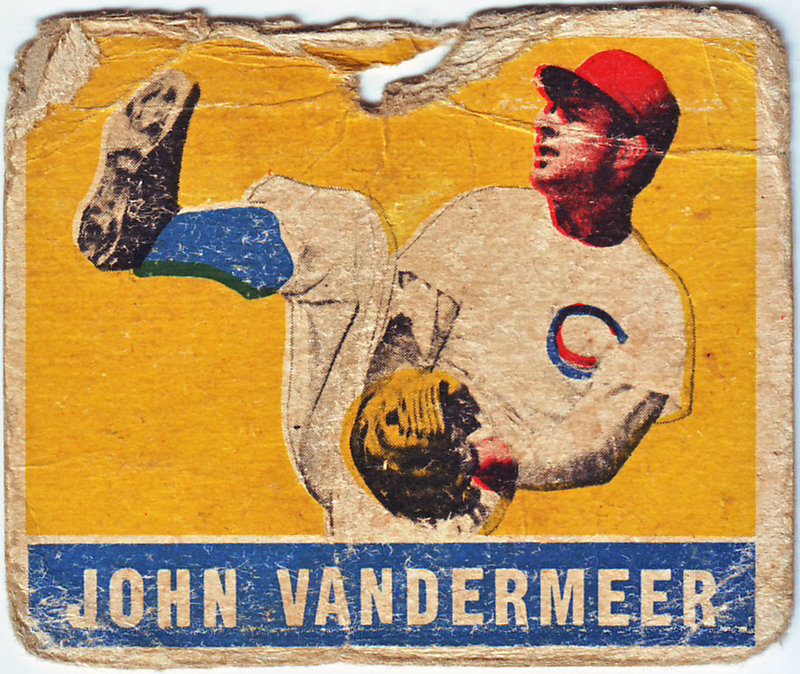 I usually don't pay more than a few dollars for poor old baseball cards but when they're of the game's greats I don't mind shelling out a few more dollars. I figure the superstars will always hold their value, no matter the condition. 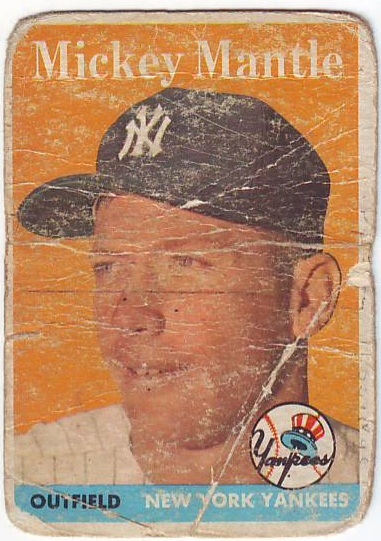 So again I ask: Would you pay $27 for an original 1959 Topps Mickey Mantle baseball card with a few creases? While on eBay last week, this card got mixed up in my usual search for baseball cards. 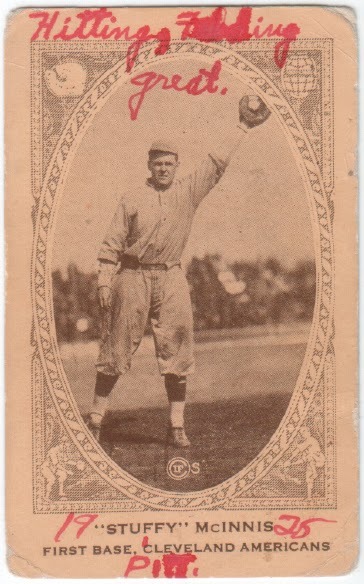 And while Hugh Taylor is not wearing a glove or swinging a bat, I still think it's an AWESOME card. 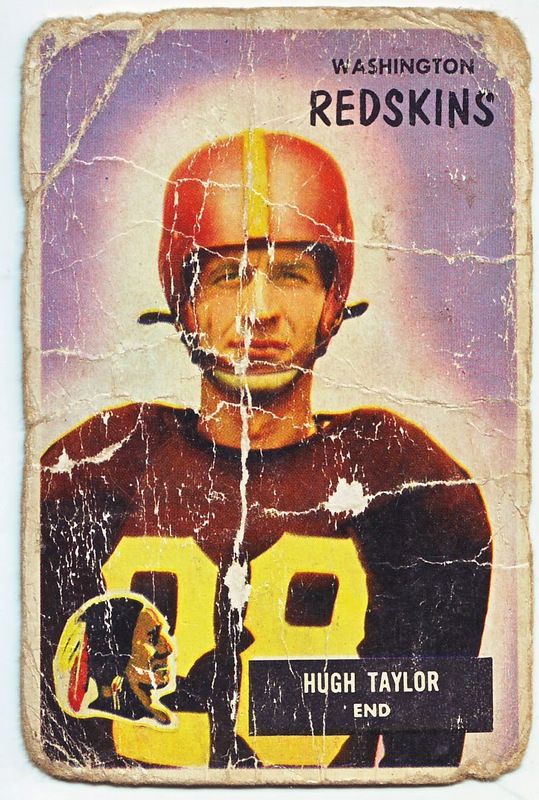 I've tried collecting poor old football cards, but it's just not my thing. Even so, this card is more than worthy to be included here. First off, it's trashed. Deep, deep creases scuffs and severely rounded corners make this card a beauty. Rich color and a classic uniform only add to it's greatness. By the way is that a leather helmet he's wearing. Sweet! As for Taylor: he once held a record for gaining 212 yards receiving in his first game as a pro and first game of the season. He was also a two-time Pro Bowler and even served as the Houston Oilers head coach in 1965. 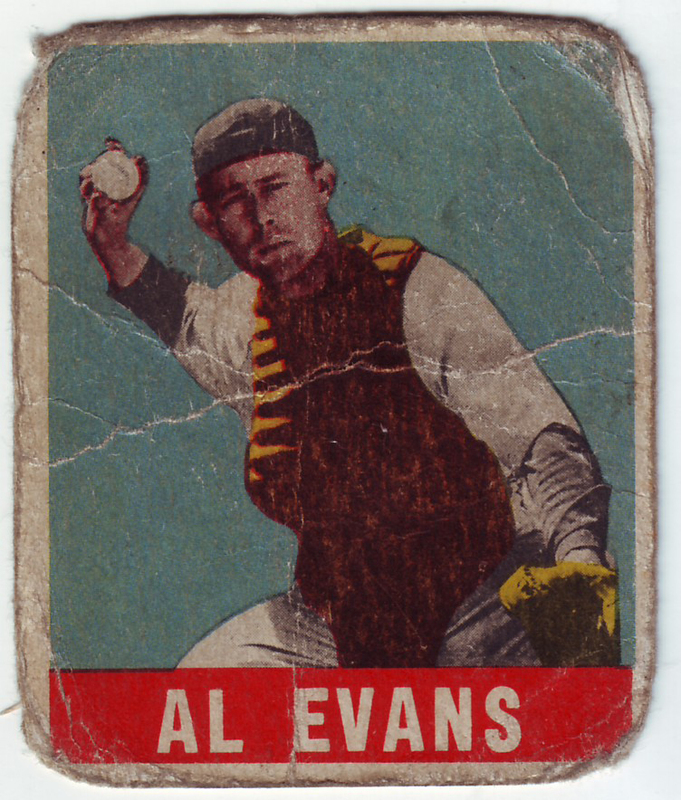 I know it's technically not a poor old baseball card but come on, you know you love it. I do. I didn't do it. It wasn't me. Someone put a piece of tape over Joe Morgan's face and I'm leaving it there. I'm getting to the point where I'm starting to repeat cards on this blog. 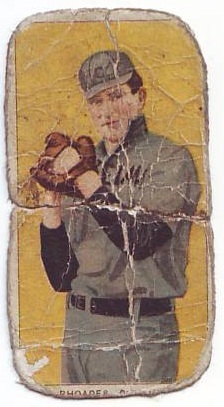 An earlier version of this card can be seen here. But this example has so much more personality. The more I look at this card the more I'm fascinated by that sticky piece of paper. Who would put that tape over his photo? Why? All indications show it's been there a while. Should I? No, I can't. It staying right there. When it comes to condition I'm just as picky as the next guy. But instead of grading up, I'm always looking to grade down. 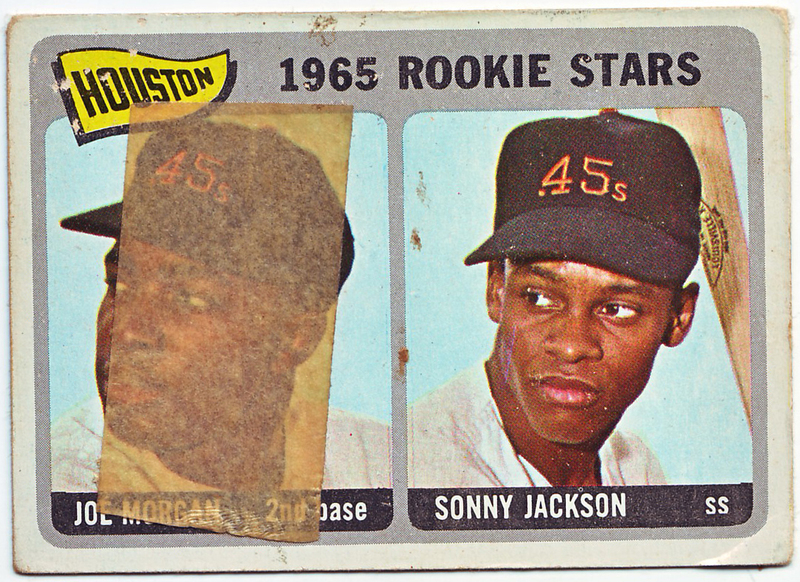 After all, this is Poor Old Baseball Cards. In 2009, I posted this card here. And while it's not in the best shape, this example is far worse. And I love it. You really need to click on the card pictured above to get a sense of its awesomeness. 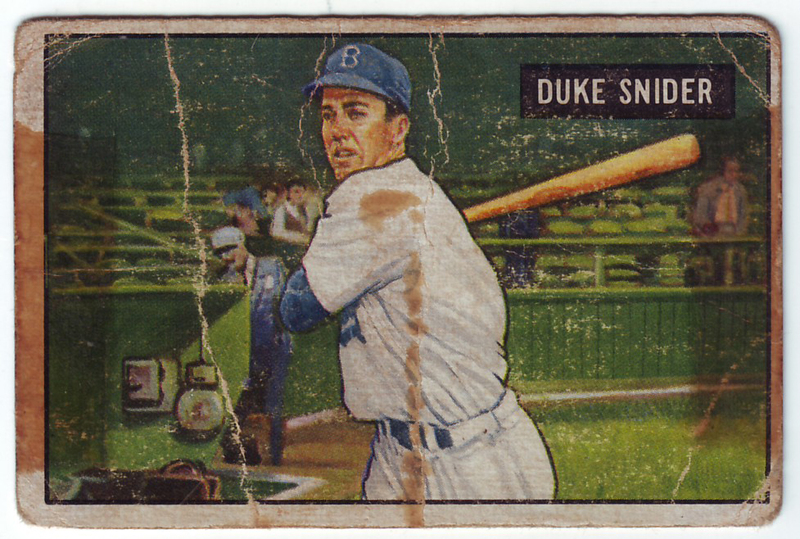 If you don't own a 1948 leaf card, you should. The simple design and vivid, bright colors are amazing. 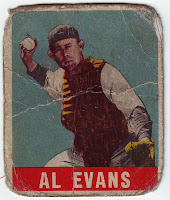 I recently read that while these cards have both 1948 and 1949 copyright dates, they were actually distributed in 1949. Any oldtimers out there remember collecting these cards as children? I know it's a long shot but it would be great to hear from someone who was an original owner. Do you remember that old Heinz Ketchup commercial? The one with the "anticipation" jingle? Well that was me this week. I've wanted this card for 35-plus years and today it arrived. 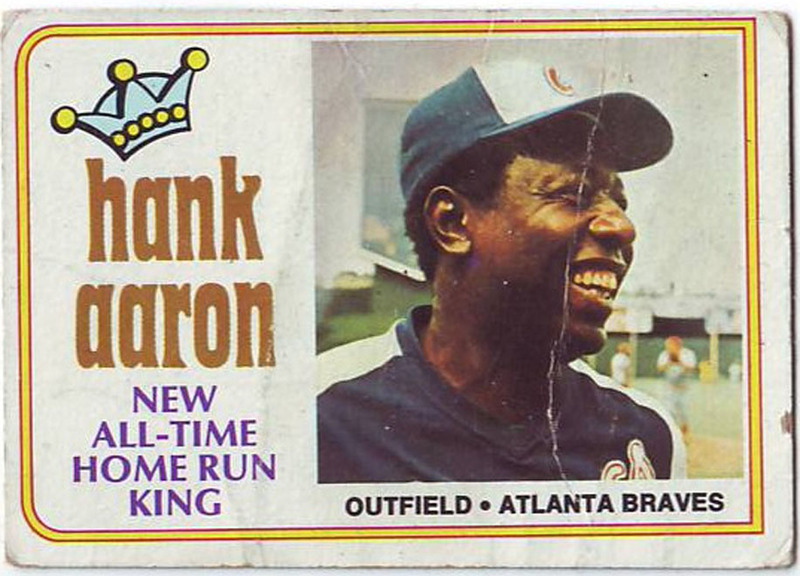 As a kid of the 80s, I always wanted certain cards: any Mickey Mantle, any Babe Ruth, any Ty Cobb, any Honus Wagner and this very card. Mantle, check. Ruth, check. Cobb, check. Wagner, check. Berg, check. 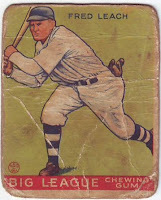 One of the only cards I still really, really want is a 1933 Goudey Babe Ruth. But any of those cards (there are four) may be out of my price range. Even a poor old version is likely to set me back close to $1,000. And then there's the fake factor. I've come to the realization that if I ever were to purchase such a card it would have to be graded. And you know how I feel about having a card encased in plastic. Moe Berg actually played with Babe Ruth as part of an All-Star team that traveled to Japan in 1934. What was a light-hitting, backup catcher doing on an All-Star team? Well, he did speak Japaneese. He actually spoke seven languages and was a graduate of Princeton and Columbia Law School. It could be argued that Berg was the smartest baseball player to ever play in the Big Leagues. He couldn't hit, but was very intelligent. While in Japan, Berg filmed parts of the Tokyo skyline and harbor. It is said that Berg's footage was used to identify targets as the U.S. bombed Tokyo during World War II. Did I mention Moe Berg was a spy? After his life in baseball, Berg joined the OSS, a precursor to the CIA. He even traveled to Europe during the war and gained intelligence on Germany's nuclear program. He was a real hero. As a kid, Moe Berg fascinated me. 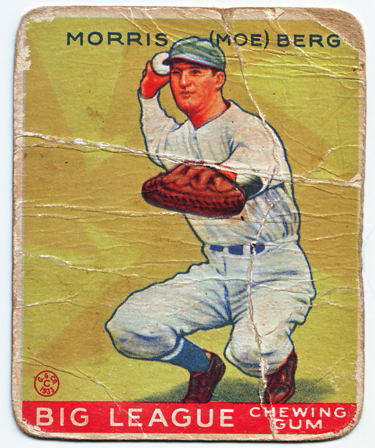 As an adult, Moe Berg fascinates me. Oh, and by the way, I have another Moe Berg card in the mail, a 1940 Play Ball. I will be happy to see that card arrive also, but not as happy as when this one landed in my mailbox. As I said, I've been waiting a long time. All you need to do is comment to win. On Monday, May 5th, I will award the Warren Spahn card to my favorite comment during the next week. In order to win, your user ID you comment with must have an email address associated with it. After notifying the winner via email, the winner has until midnight on the next Sunday (Pacific time) to claim their prize. So the first winner must reply by May 11 to win. Sorry but you cannot win if you comment anonymously. You can comment on any posting during the life of the blog. I will also mention the winner via a posting on this blog but winners must contact me via email and not with more comments to claim the prize. I hope this all makes sense. Any questions feel free to email me at anthtara (at) gmail.com. By the way, these are all Poor Old Baseball Cards. All original. No reprints. 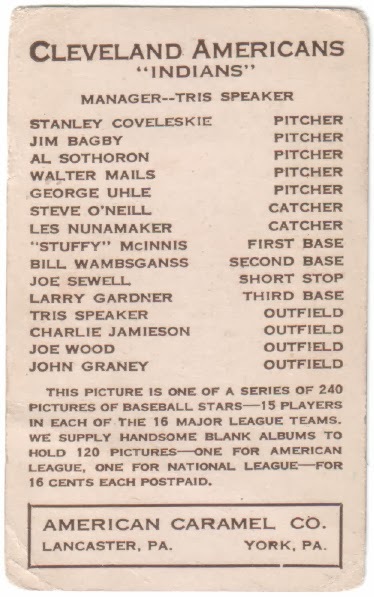 These are real cards made during the player's playing days. And the all have creases, writing, folds and any number of issues that make them poor. 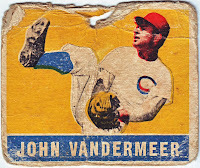 In May, Poor Old Baseball Cards celebrates its fifth year on the blogosphere. And while it gives me great joy in sharing my collection, it is particularly heartening to read comments about your own POBC moments. Today, I spent about an hour at my local card shop looking for cards to include in an appreciation contest which begins on May 5th. Beginning that day, I will award a POBC to the best comment left on this blog during the previous week. 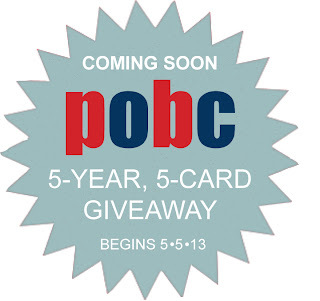 In all I will award at least five cards during the month of May. At least one card each week. So far I have found a few cards: Hank Aaron, Roberto Clemente, Warren Spahn, Reggie Jackson, Frank and Brooks Robinson, Duke Snider, Ernie Banks, Eddie Mathews. All major players during their playing days. 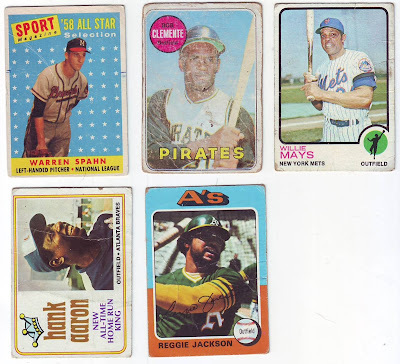 Cards from the 1950's, 60's and 70's. No fakes. No reprints. No Heritage (I think that's what they call them nowadays). All are real cards. All are well loved. No grading, No mint cards. Not even cards in very good shape. These are poor old baseball cards. This is the first time I am doing this sort of contest and can use your help on how to conduct it. I really want the entries to be entered as comments. But how would I go about notifying the winners? Should the entries be limited to that week's posts or to any new comment made that week on the entire blog? How do I notify someone who does not have an email link on their profile? Does it mean no one can win if they comment annonymously? Any help out there from my fellow bloggers would be appreciated. Should I include comments to the facebook page? 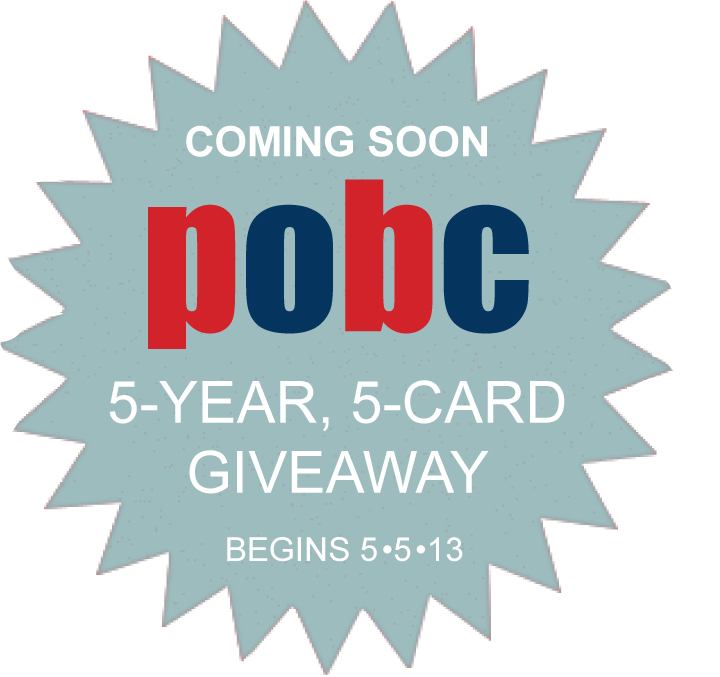 Thanks everyone for being a part of POBC! Check out that baseball glove in Fred Leach's back pocket. One of my favorite things about old baseball cards is seeing the differences in uniforms over the years. Before baseball gloves grew to today's enormous size, fielders would simply throw them in foul territory, or better yet, put them in their back pocket. I knew it would arrive any day in the mail. The anticipation had grown every day since I hit the buy-it-now button earlier this week. Can you imagine what it was like for this card's first owner? Mickey Mantle was the two-time defending American League MVP in 1958. He was the best baseball player on the planet, playing for the sport's most famous team. He was like Miguel Cabrera and Buster Posey all rolled into one. He was at the top of his game. When this card was first separated from its packaging the look on the new owner's face must have been priceless. 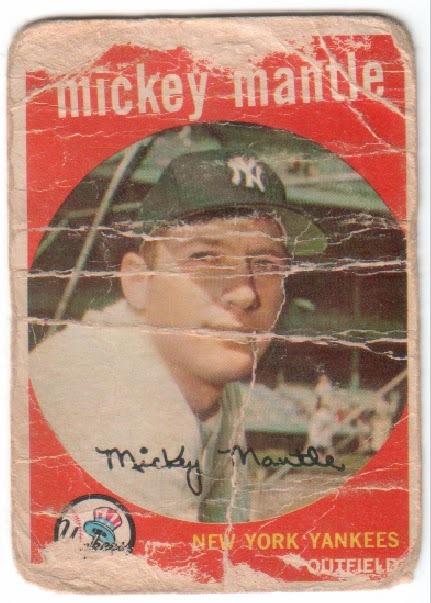 First or last, this Mickey Mantle card has put more than a few smiles on it's owner's faces. Including my own. Before the internet, I practically studied the Baseball Encyclopedia. I could tell you just about anything you wanted to know about the players of my childhood. 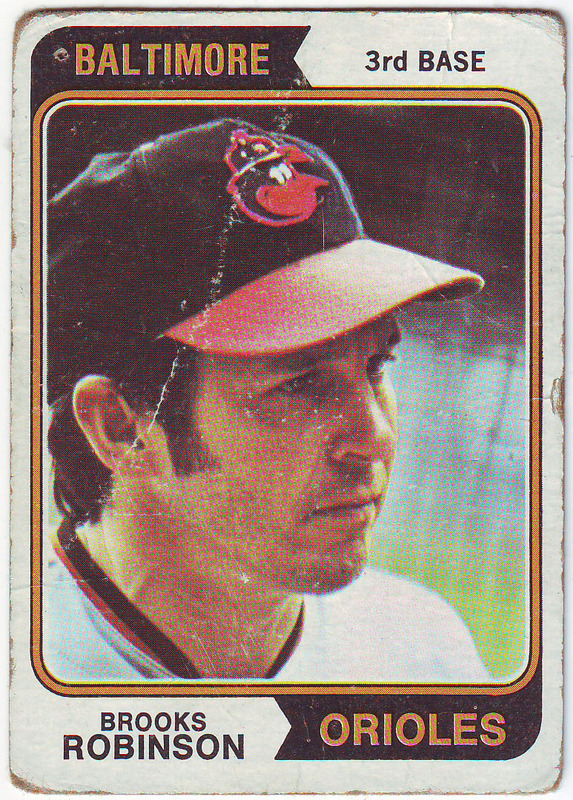 As a matter of fact, in 1980, my dad bought me a bagfull of Topps baseball cards. I opened each individual pack memorizing each player and the team he played for. I separated them by team with the obligatory rubberband holding them together. While I am still a huge baseball fan, I'm not so adept to who plays on what team. It usually takes me a few weeks after the season starts to get it all straight. And when it comes to the rookies, I'm lucky to figure them out by the All-Star break. But I know my older players, even the ones that played over 100 years ago. At least I thought I did. Along came Whitey Alperman. I had no idea. So I went to my trusted (and mostly accurate) friend Wikipedia. It seems Alperman was a second baseman for the Brooklyn Superbas from 1906-09. In 1907, he even tied for the NL lead with 16 triples. Regardless of whether I've heard of him, he was a major leaguer, one of the best of the best. Thank God for places like Wikipedia for keeping the stats and names of these old players alive. The weather was getting cooler in The Bronx where Tommy Tremble lived with his parents and grandmother. He was a diehard Yankees fan and had a tattered black cap to prove it. At 11 years of age, Tommy had grown up watching the likes of Joe DiMaggio, now in his final season. 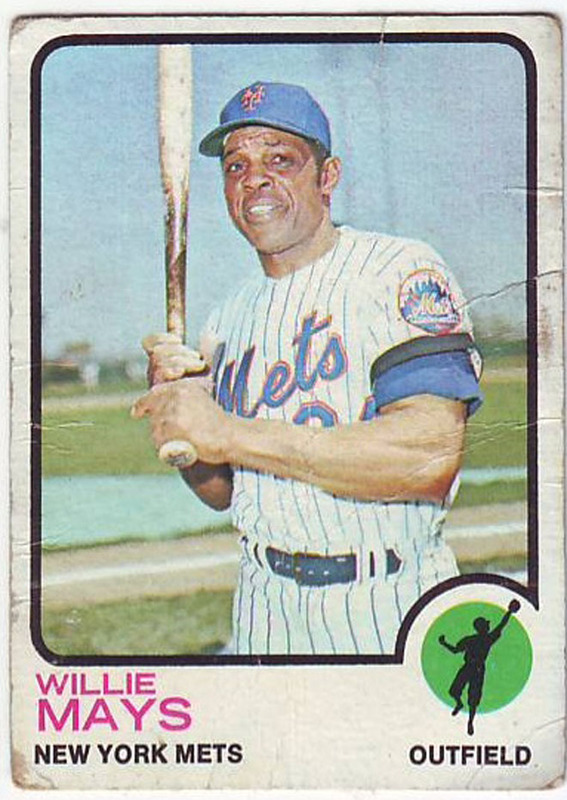 He had a liking for the young Oklahoman named Mickey who showed such promise as a rookie. But his favorite was shortstop Phil Rizzuto. Like Rizzuto, Tommy was diminutive in size. He was often the smallest player on the lot. Tommy followed Rizzuto and the rest of the Yankees on WINS-AM. Mel Allen, Bill Crowley, Dizzy Dean and Art Gleeson were his eyes and ears on the diamond. Occasionally he would catch a glimpse on the tube at Donovan's Appliance and Television shop. It was even more rare for Tommy to join his father for an afternoon game at the Yankee's Stadium. In 1951, the Yankees were again pennant winners and would face the hated Giants for the World Championship. Game 1 would go to the Giants 5-1, Game 2 to the Yankees 3-1. Game 3 was scheduled for October 6 at the Polo Grounds. Tommy had never been to a game in the ballpark across the Harlem River. But that morning Tommy's father had a surprise: two tickets to the World Series. Tommy was thrilled but he had never been to a baseball game in enemy territory. Nothing would deter him. He put on his wool jacket and his tattered cap and made the trek with his father to157th Street and 8th Avenue. It was a cavernous park with a horseshoe shape. The Yankee's were down 1-0 after 4 1/2 innings when Eddie Stanky walked with one out in the fifth. Yankees catcher Yogi Berra was looking for Stanky to steal and called for a pitchout. Berra responded with a perfect throw to shortstop Phil Rizzuto. Stanky was a dead duck but managed to kick the ball from Rizzuto's glove and made his way to third base after the ball got away. It was a dirty play in Tommy's book. Stanky's slide was high. It was uncalled for. By the time the inning had ended, the Giants had scored five runs and were on their way to a 6-2 win and a 2-1 series lead. It was Tommy's first World Series game, and Eddie Stanky left a sour taste in his mouth. For Tommy, he was public enemy No. 1. The Yankees would go on to win the series but Tommy would never forget that day. 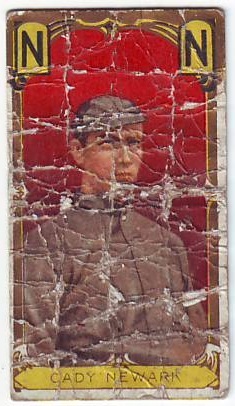 Six months later, Tommy purchased his first pack of Topps baseball cards from the corner market. 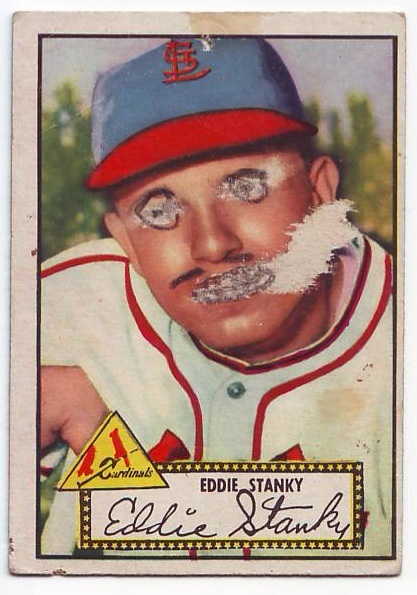 His first pull: The hated Eddie Stanky, who would become the new manager in St. Louis. Note: Tommy Tremble is a fictional character but the facts surrounding the 1951 World Series are true. 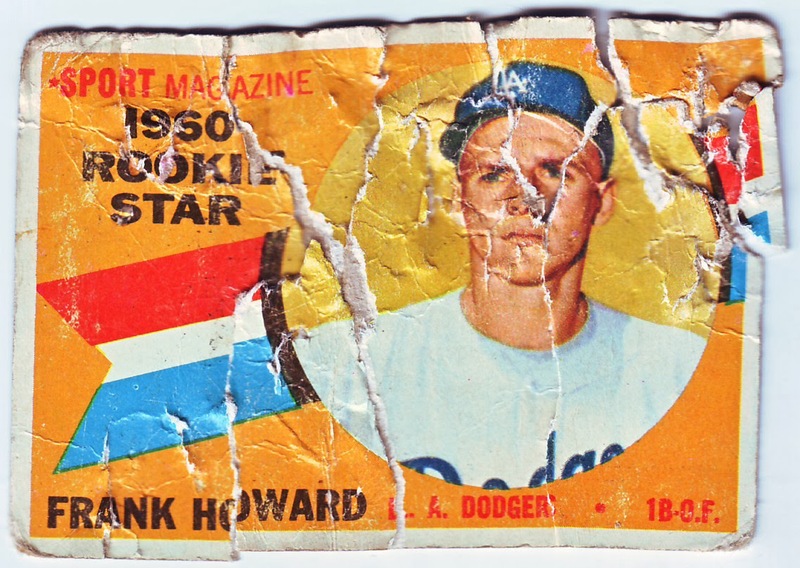 Whenever I come across a poor old baseball card like this 1952 Topps Eddie Stanky my mind wanders. 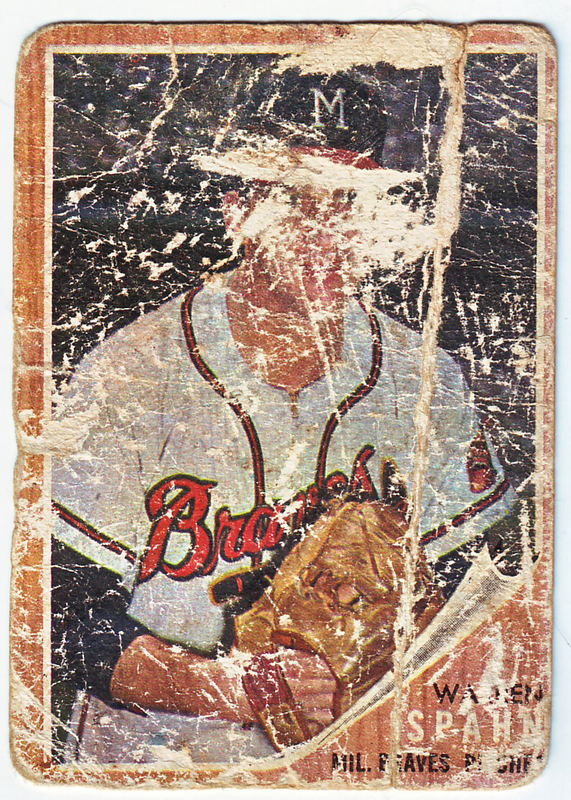 I wonder who could do such a thing to a classic baseball card? Baseball evokes such emotion. Maybe Tommy Tremble did exist after all.